Christina and Terry Axtmann view the University of Houston-Downtown through a certain "citizens-of-the-world" perspective — tinted with a red rose hue thanks to their relationship with UHD. Christina, who grew up in Italy and now lives in Surrey, England, graduated in 1996 from UHD with a bachelor's degree in applied mathematics. Christina has always felt privileged that she was able to work at Conoco Inc. while attending UHD and have 90 percent of her education subsidized by the company. Christina's husband, Terry, is also an avid supporter of UHD. He holds degrees from Bucknell University and the University of Oklahoma. Together they are paying forward the lifelong benefits they've received from their college educations and hard work. "We got to a point in our lives where we wanted to give back," Christina says, "and we are both advocates and firm believers in higher education." The Axtmanns' initial endowment — established in 2003 and matched by ConocoPhillips — provides UHD with unrestricted income for scholarships, research, travel and other areas deemed to enhance and enrich UHD. But that was just the start. The Axtmanns soon learned about the university's Red Rose Leadership Scholarship, which pays $3,000 in annual tuition assistance to a UHD student demonstrating service, leadership and commitment to UHD as well as to the Houston community, their families and their work. As a result, the Axtmanns have now boosted their UHD support by setting up two additional endowments, also matched by ConocoPhillips and Pioneer Natural Resources, to fund Red Rose Scholarships. "These students are so impressive with their academic achievements, and we felt there was a real opportunity for us to help," Terry says. "Many of these scholars are not only going to school and working full time, they are also raising families." In addition, the Axtmanns have also established a charitable bequest, and by doing so, are counted among a select few who have taken the step of making planned gifts through their wills and estate plans. "We really feel good about helping these scholars achieve a dream, and my hopes are that other UHD alumni will set up endowments and make planned gifts," Christina says. 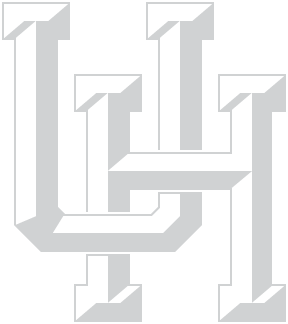 "The UHD students, the professors, the opportunities — this is a unique institution, and we are very passionate about it because not everybody can graduate from high school and immediately attend a fouryear university." The UHD population is largely minority students, with most needing financial assistance in order to attain a four-year degree, says UHD President Bill Flores. "The Axtmanns' continued generosity has enabled our university to increase the level of financial assistance we give to students who might not otherwise be able to remain in school, complete their degrees and take on new roles in the life of our community. We are grateful to have friends like Christina and Terry who understand our mission and support our growth and development."